Throughout the history of mankind clouds have carried all sorts of negative connotations; they have been read pessimistically as a sign of misfortune or the premonition of a tempest or as simply as a blemish in the sky ruining an otherwise perfectly bright sunny day. 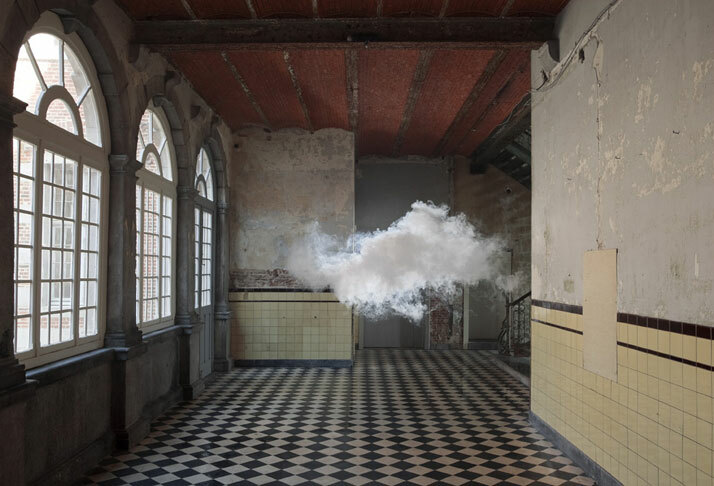 But for Dutch artist Berndnaut Smilde, it seems that the clouds that have appeared in his world have a silver lining after all, making him the talk of the art world. Since 2010, Smilde has been skillfully creating clouds inside indoor spaces. Yes, indoors. As strange as it might sound, Smilde has mastered the art of controlling the weather conditions of a room by making clouds appear inside the oddest of spaces. 75 x 111 / 125 x 185 cm. ‘Nimbus’ is an impressive project that explores the idea of a cloud being mysteriously created inside a space in which it does not belong and the various meanings that people project onto it. 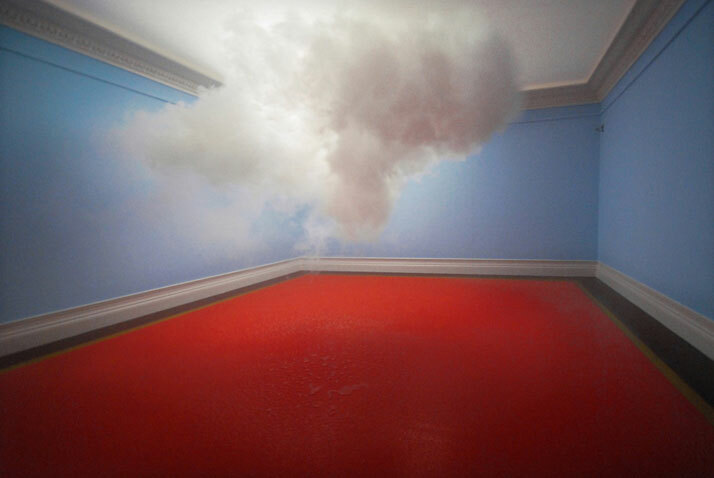 In a series of photographic prints that bring to mind the paintings of surreal artist René Magritte, Smilde playfully reinterprets the cartoon reference of a cloud as a the universal sign of bad luck by creating the unfathomable where walking into an empty space dominated by a massive cloud makes one ask whether it is real or just a weird hallucination. Making Clouds // The Avant/Garde Diaries. 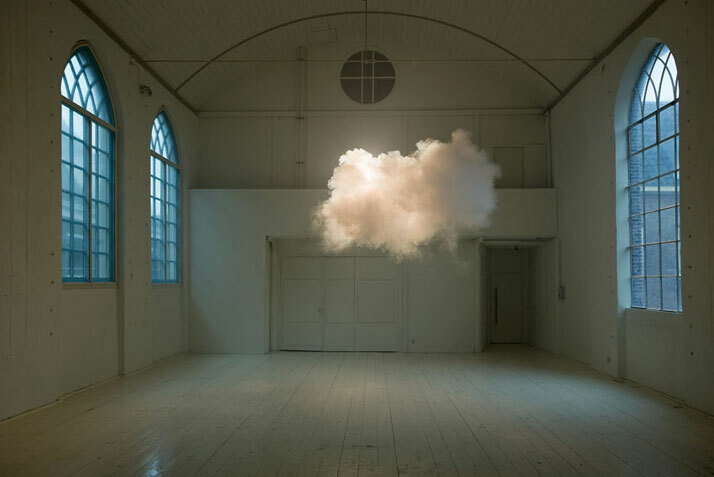 BBC News - How to make clouds indoors: The art of Berndnaut Smilde. No stranger to the vagueness of the in-between state, Berndnaut Smilde’s work is largely inspired by transitional spaces such as corridors, elevators, staircases and balconies that exist to be in between. Drawing upon their physicality, he creates installations and sculptures that centre on duality, that question the notions of temporality, size, and the function of materials and architectural elements. With regard to his clouds, when viewed out of their natural context, one cannot quite grasp how to interpret them. Ominous and threatening, yet strangely serene, they carry a baffling duality, appearing to be as much part of the room as they are out of place. Embracing the surreal aspect of it all, Smilde challenges conflicting notions of the inside and the outside, celebrating the ephemeral, the immaterial and the whimsical in his own unique way. 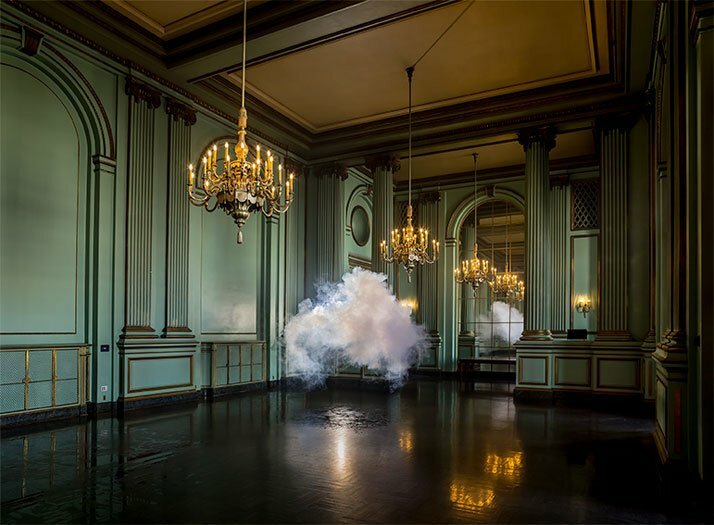 Berndnaut Smilde, Nimbus Green Room, 2013. 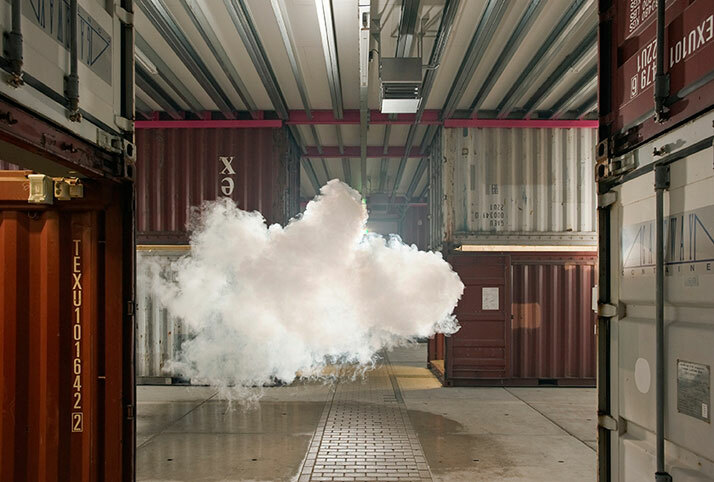 Berndnaut Smilde, Nimbus II, 2012. Of course, recreating a cloud and all the physical elements that go along with it is an act that requires meticulous planning entailing carefully controlling the temperature and humidity levels of the room, constantly moistening the air inside it and adjusting the lighting to create a dramatic and realistic effect. 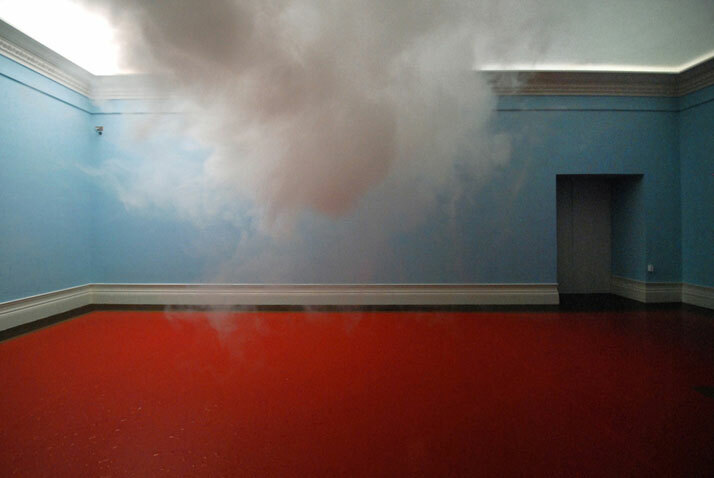 When the room conditions are ideal, a fog machine unleashes a dense mist that appears heavy and damp, just like a real life raincloud. Floating proudly in the middle of the oddest of spaces, they last for only a few brief moments before dissipating into thin air. In fact, very few people have actually seen Berndnaut Smilde's work in person. As short-lived as a summer storm, his whimsical clouds live only to exist in photographic form. Somewhere in-between reality and representation, the beauty of a fleeting haze is captured on a print that becomes the only medium to prove that they ever in fact existed. Building on awe and disbelief, it is this highly ephemeral nature of theirs that makes them so special, as if they were another urban myth that one has yet to witness but still fervently believes in. Digital C-type Print , 75x112 cm. Probe#6, Suze May Sho, Arnhem.